They come from big cities like New York, mid-sized communities in California, small towns in Georgia and all points in between. 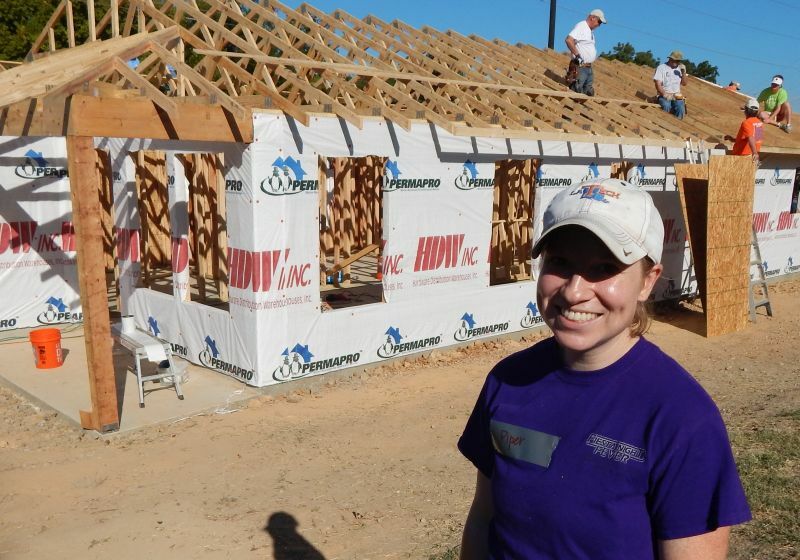 But the one thing the volunteers at the 2015 Millard Fuller Legacy Build have in common is a call to use their time, talents and energy to serve others. Merle Graber has been coming to blitz builds since 1988, when he first got involved with Habitat for Humanity. That year he worked alongside President Jimmy Carter on the roof of a home in Atlanta. 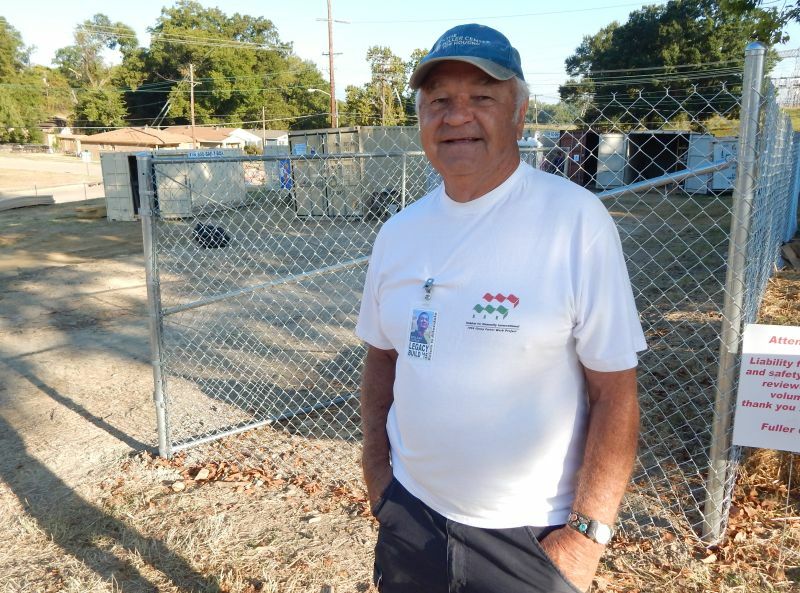 This year, he is using his many years of experience as a house leader to serve as the block captain for the four new homes being build on Clay Street in the Allendale neighborhood of Shreveport. Graber echoed a common theme the volunteers use to explain their attendance at the Legacy Build — they simple feel it is their Christian duty. Sue McCann and her husband, Jim, were among the thousands of people who were captivated by Millard Fuller, founder of both Habitat for Humanity and The Fuller Center. They were visiting Koinonia Farm near Americus, Ga., in 2009 and dropped by the headquarters of The Fuller Center on their way out of town. They met the gregarious Christian servant whose contagious joy and Southern charm turned the idea of partnership housing first developed at Koinonia into a worldwide movement. That meeting came just before Fuller died unexpectedly in early 2009. Mark Butler volunteered at the Fuller Center Disaster ReBuilders’ Back to Biloxi Build just a month ago and had not planned to work at this year’s Legacy Build. 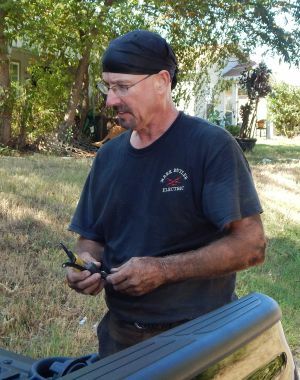 But when volunteers began running into all sorts of electrical problems at the home of Anthony Morgan and his daughter RyRy, The Fuller Center’s Brenda Barton knew that he was the man to call. He drove up from the Gulf Coast without hesitation, arriving Wednesday night to work the final two days of the build. Like the McCanns, Butler also was reeled into the affordable housing movement by Millard Fuller. New York City’s Jane Chu has stayed so busy this week that she had to discuss her service as she worked inside of the home being built for Lytonja Smith and her eight children, three of whom are in college. Diane Bies came to The Fuller Center in a way that many others have in the past eight years — through the Fuller Center Bicycle Adventure. She was merely looking for a cycling trip and came across the Bicycle Adventure’s spring ride down the Natchez Trace Parkway. She was already hooked on cycling, but the experience — and subsequent rides — have hooked her on the mission. Not everyone, though, came from far and wide to help the Allendale neighborhood. Some came from right here in Shreveport, including Piper Moritz. Her church, First Presbyterian Church, is sponsoring the home on which Chu and others are working. Moritz arrived on the site today to lend a hand. Click here for photos from Day 4 of the Legacy Build.